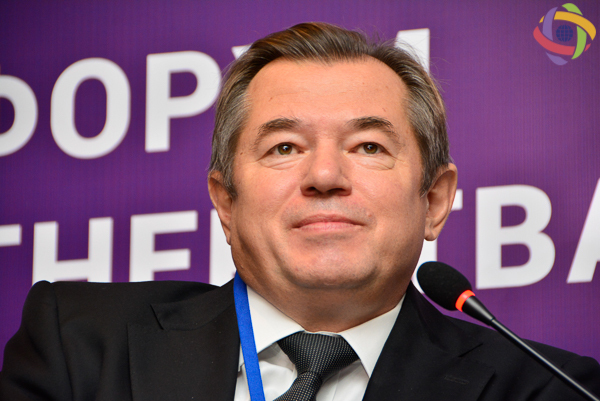 The adviser to the president of Russian Federation Sergey Glazyev in the framework of the First International Forum of Eurasian Partnership has noted that before Armenia’s membership in the EAEU not everybody inside this country believed that it will provide new opportunities for economic development. But the numbers, which were presented today, were very impressive. – I believe Ara Abrahamyan’s statement that Armenia will become the center of Eurasian integration,- he said. Although Armenia has already become such a center, but we would like to hear the proposals of business representatives at this Forum, as far as the Eurasian Economic Commission and the Eurasian Economic Union have the task of creating better conditions for business. I would like to thank the organizers of the conference.